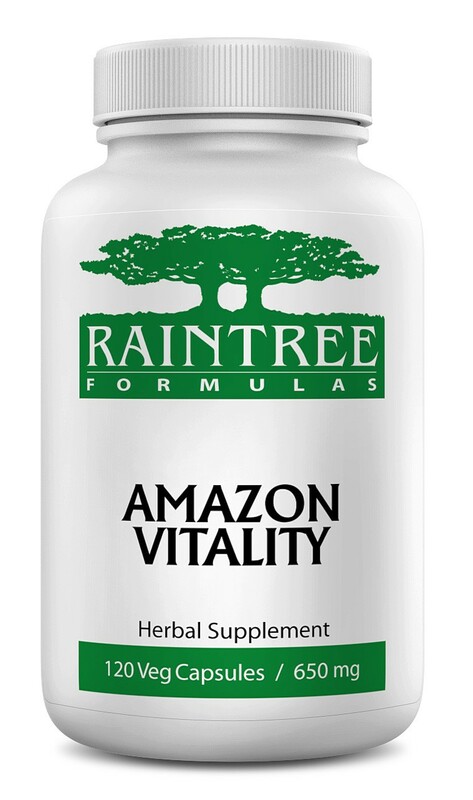 This Raintree original product is a powerful combination of 8 rainforest plants and herbs mainly indigenous to the Amazon. NOTE: You may receive a slight variation in capsule weight of Amazon Vitality. We have reduced the price according to the minimum amount of herb you will receive which is 620mg per capsule. Recommended Daily Intake: 2 capsules 2 times daily, or as directed by a healthcare professional. Ingredients: A proprietary blend of calaguala, samambaia, chanca piedra, cat's claw, fedegoso, picão preto, gervâo, and tayuya.